California Marijuana College » What are the requirements for obtaining marijuana dispensary permits? If you are planning to start a legal marijuana business, you may be thinking what are the requirements for obtaining marijuana dispensary permits. 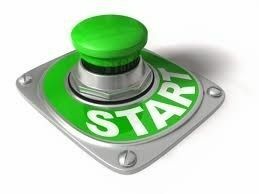 Before you get started with anything, it is crucial that you find out about the requirements. Doing a bit of research can always help you save time and even money. So, what are the requirements of obtaining marijuana dispensary permits? While you must be a resident of the state in which you want to establish your business, you must also demonstrate that you have the financial capacity to start and operate such a business. you must also be in compliance with the laws in matter which stage of planning or development you are in. There are numerous requirements that must be fulfilled, but they vary depending on the state you live in. for example, some states allow you to obtain only kind of license, while the others allow for more. In some states, if you are growing marijuana, you will be responsible for selling it too. This is called vertical integration. In other states, you can either obtain a license for growing marijuana or for selling. There is no compulsion for you to obtain both. So the actual requirements vary from state to state.